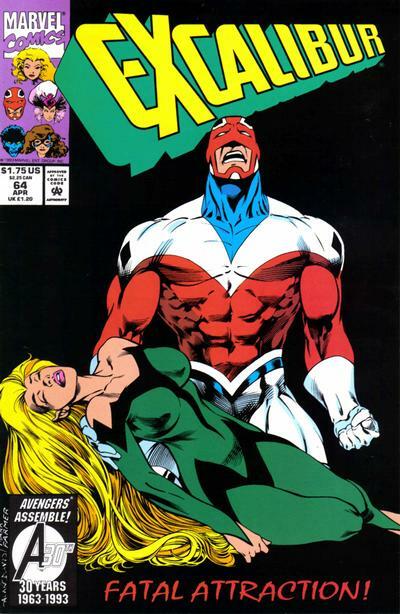 Phoenix returns to Earth as Captain Britain & Meggan are captured by the RCX. In deep space, Rachel awakens, shocked to realize she's not dead. 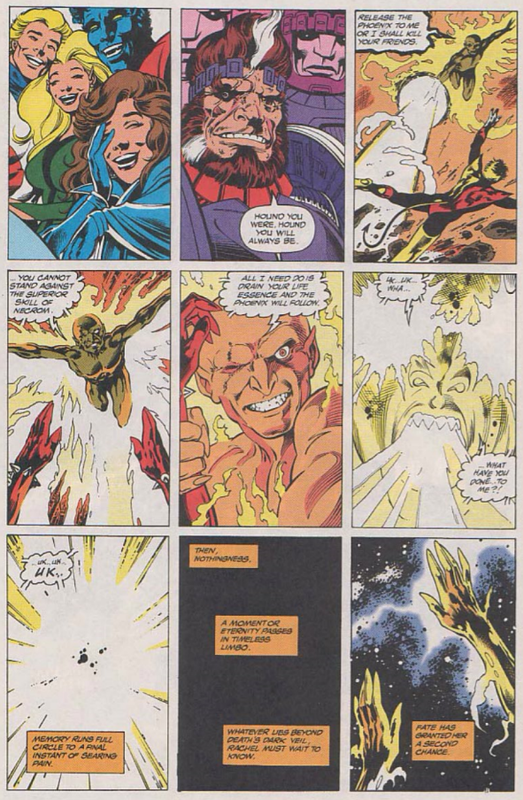 The Phoenix Force tells her that once it was without form, touching all life, and that it needs to do so again to free the universe of the cancer it has become. On Earth, Captain Britain & Meggan are attacked and captured by the Cherubim. As the RCX doctors run more tests on Nightcrawler, Kitty tricks her Warpie guard and escapes into the complex, hoping to suss out Nigel's true intentions. At Braddock Manor, Feron & Lockheed are disturbed by the sudden appearance and subsequent disappearance of Widget. Meanwhile, Captain Britain is manipulated by Nigel into helping him target super-humans in the name of security. Kitty overhears this, but is knocked out by one of the Warpies. 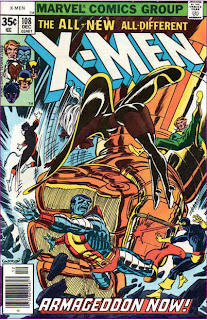 She is placed into a containment unit, after which an imposter masquerading as Kitty assures Nightcrawler their suspicions were wrong. In space, the Phoenix Force says farewell to Rachel, leaving her with her mind and memories intact. 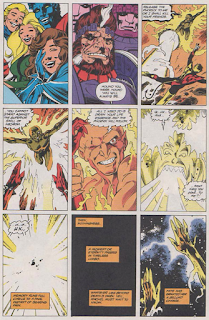 Rachel realizes she has been returned to Earth, and confident now in who she really is, dons the colors of Dark Phoenix. Rachel regains consciousness this issue, then proceeds to have a conversation with the Phoenix Force (taking the form of Jean Grey), in which the Force declares it is leaving Rachel, in order to stay a part of the cosmos and not tethered to humanity. Before leaving, it places limitations on Rachel's power (presumably Davis' way of bringing Rachel back into the series but curtailing her powers so he doesn't have to write around her being a constant deus ex machina) and repairs her fractured mind, such that the memory issues she's experienced since escaping from Mojoworld at the start of the series are gone. 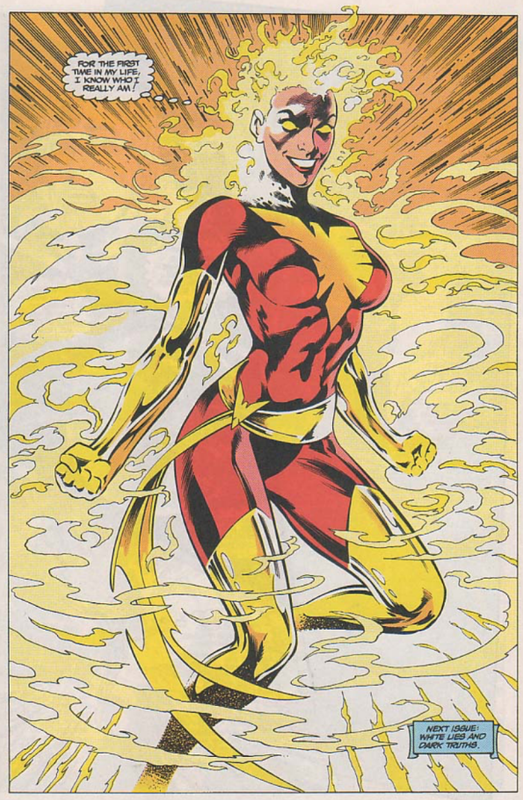 As she approaches Earth, she also dons a new costume, the red-and-gold variation of the Phoenix attire worn by Jean as Dark Phoenix. Presumably, as the issue ends on this image, readers were meant to worry that Rachel may have also been corrupted by her power, but even having not read the issues immediately following this before, I know this isn't the case. Widget makes another brief appearance, this time appearing before Feron and Lockheed (and freaking out the former in the process), briefly uttering words, some of which, at least, appear to be "Rachel". 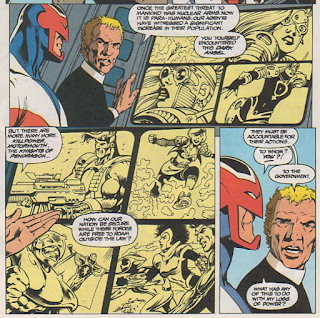 Nigel briefs Captain Britain on a newer group of super-powered individuals operating in Britain, comprised of characters from Marvel's Marvel U.K line, and blames them for unleashing the virus targeting para-humans in order to manipulate Captain Britain into working with him (Nigel also blames the virus for Brian's fluctuating powers). The title of this story (on the cover, at least) shares its name with the upcoming 1993 linewide crossover, "Fatal Attractions". 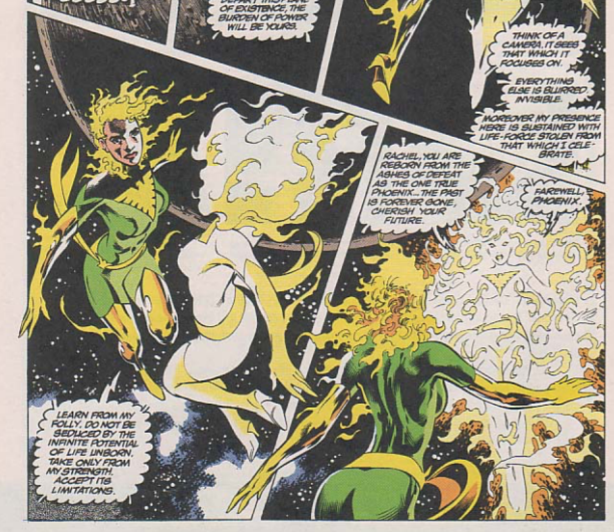 The Phoenix Force declares that appearing as Jean is no truer than the bird-like image which appeared in the original Feron's visions of the force. 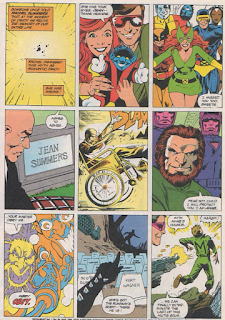 One of Captain Britain's greatest fears is personified as the Fury, Terminator-meets-Sentinels anti-mutant killer from the "Jasper's Warp" storyline in his solo series. Kitty notes that it's been awhile since she's changed her costume, something she used to do frequently. 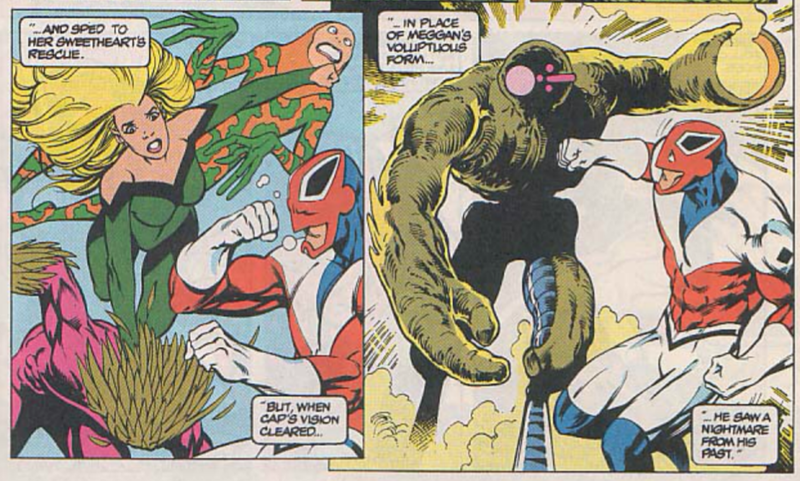 Twice in this issue Captain Britain is described as being surprisingly fast for his size. 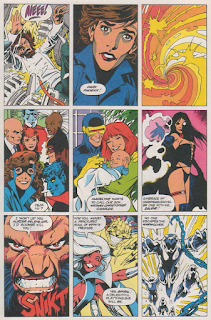 This issue opens with a fantastic three page sequence, in which Alan Davis depicts moments from Rachel's life across three nine panel grids, from her perspective, with one page devoted to her life pre-time travel, the second her time with the X-Men, and the third her time with Excalibur. A marked improvement over the previous issue, for a number of reasons. Both the return of Rachel (as opposed to Phoenix) and the capture of Captain Britain and Meggan by the RCX helps make it feel like the somewhat disparate elements of the series are being drawn together. Nigel's manipulation of Captain Britain is, as Kitty rightly points out, a great piece of villainy, and it helps make it clear that whatever his agenda, Nigel is acting nefariously and is not just an overzealous pursuer of law and order, which helps establish exactly who the good guys and bad guys in the story are. And while Kitty is ultimately unsuccessful in her attempts to learn what's really going on at the RCX, her efforts to do so are appreciated, as it represents the title characters finally do something aside from getting captured and playing nice in the story. It still feels like Davis is maybe dragging this narrative out longer than needed, and the Warpies continue to do nothing for me, but this at least moves the story in the right direction. Next week: Uncanny X-Men #300, X-Factor #90 and Wolverine #69. I love the red costume on Rachel. I guess because I know it doesn't turn her evil, I don't associate it as a villain's costume when she wears it, while I do when Jean wears it. Me too. It was the costume she was wearing when I first started reading Excalibur, so for me, it's her "Excalibur look". I didn't know anything about where Excalibur is going and totally bought that there was some legit (though possibly not very high-profile or long-lasting) Dark Phoenix stuff coming up next. 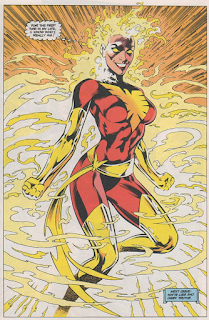 Despite knowing that when she adopted the Phoenix identity and red outfit to go with it in X-MEN ANNUAL #9, it was just "Phoenix", not the dark one. I may have screamed a little upon seeing that last splash page. One weird thing- if Scott and Maddie told Rachel Nathan Christopher's name before X-Men 206, then why did Illyana tell Corsair she didn't know his grandson's name in New Mutants 50-51? Well, the whole "Cyclop's baby name" thing was weird - he went an embarrassingly long time without getting named in the comics - his full name wasn't given until the run-up to "Inferno". But presumably, in-universe, he was named much sooner (ie shortly after he was born like most babies"). Illyana's joke is that she doesn't know the name because everyone is acting like its a state secret or something. Obviously, this was Claremont poking fun at the fact that the kid hadn't been named on-panel yet. In-universe, I guess they were being cagey about the name for some reason, and while they told Rachel (who is the kid's sister, sort of), maybe they weren't telling all the New Mutants or something? Plus, Cyclops & Madelyne left the mansion shortly after the birth, so maybe that had something to do with it? Bottom line, it was a weird time for the books, with the forced separation of X-FACTOR and whatnot, and I'm willing to accept that Cyclops' would have told Rachel his son's name, esepcially since Illyana's joke was a wink to the audience in the first place. What part of "telepath" you guys don't understand? Scott's obviously not telling her anything, because why would he being supposedly totally unawares that she's his daughter. The normal blurb is just for the show there. Rach is totes yanking it from their brains. Or maybe it's the secretly evil Madelyne telegraphing it to her, gnah. Also, as depicted in the panel above, Rachel's memory is of Cyclops *telling* her his name, not of her plucking it from his mind. Villainous Madelyne subconsciously altered Rachel's perception of how it happened to tear a rift between Scott and his and Jean's daughter by underlining to her how in this timeline she is not her first born to drive her competitor's kid away from Scott. And Professor Xavier is a jerk who pries into peoples' minds and then blurts out to everyone in the vicinity that they're pregnant with a child despite certainly not being cleared to do that. Cyclops kind of hinted in X-MEN ANNUAL #9 that he had some idea of who Rachel was. So could have just told her off-panel once he connected the dots. I can't find such a scene? At one point Kitty is thinking that he *must* know, but he hasn't said anything. Unless it's implied in the late scene where he and "young Phoenix" use their optic beams and mindblasts in unison as per his instructions, because doing that with a redhead telepath has gotta make him think. It's X-MEN/ALPHA FLIGHT #2 where Cyclops lets on that he knows who Rachel is. It's a really nice scene between the two of them at the very end of the issue. I quite can't read their exchange that way, and in UXM #199, which happens after X&A, he forgot to spend afternoon with Rachel and explicitly asks from Logan and Moira why Rachel is so interested in him. If Scott knows (subconsciously or otherwise), he is very unwilling to admit it to anyone. And on further note, I always felt "Nathan" came to be the kid's name only by the Inferno time, by openly evil Maddy along with the revelations of Lefty in the orphanage, and that he would've been "officially" Christopher Charles before it. He was "Christopher" in the post-Inferno troll story in X-FACTOR if I remember correctly. 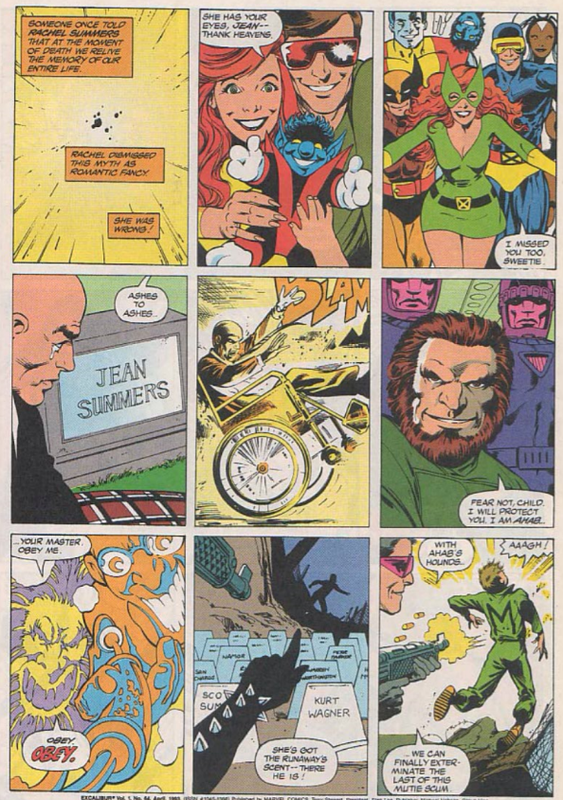 Yes, there was that scene in X-MEN/ALPHA FLIGHT #2. I assumed he twigged onto the fact in Anuual #9 when Hela (?) was going on about how Rachel's mom sent so many souls to her realm or something. I think he would have been smart enough to put it all together by then. I enjoyed that opening sequence of Rachel’s life flashing before her eyes. 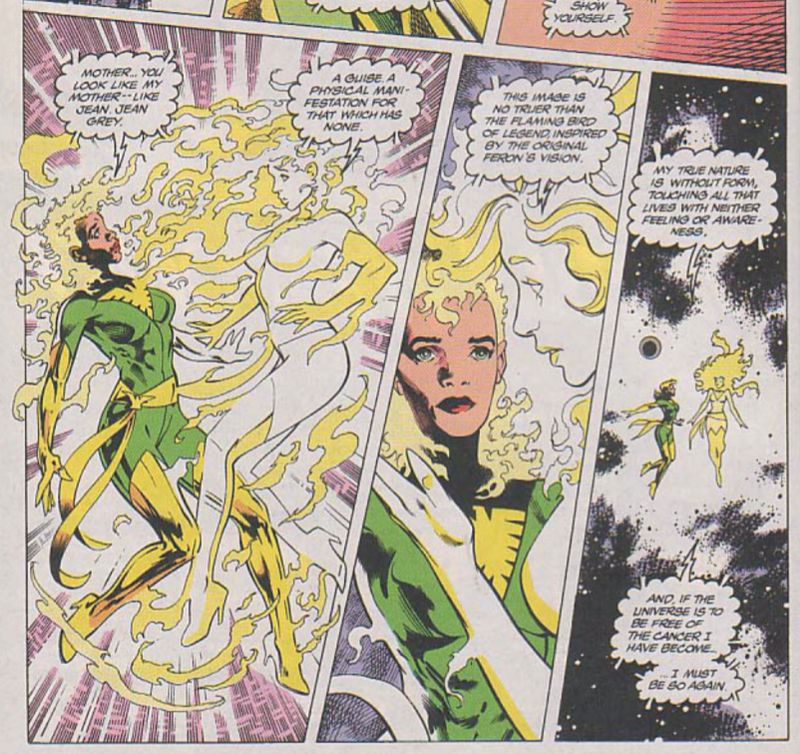 The reset done by the Phoenix Force to leave her a reasonably powered superhero (and fairly well-adjusted young woman with intact memories) is a fine thing as well, but I’m not sure we had to go through the recent revelations of the Phoenix Force being powered by unborn children to get here. Man oh man, yes, those three pages of Rachel panels. Brilliant work by Davis. Certain panels in particular, the way they smooth over the chaotic continuity of the character's biography up to that point ... amazing. I still prefer the green Phoenix costume on anybody, but hey, that's just me. And I confess I find the "red herring" so to speak, of this issue's cliffhanger kind of annoying. RACHEL IS DARK PHOENIX! Just kidding, she just likes red better than green.